The C’Ville Songsters is a small, auditioned, a cappella group of choir members. The group was formed late in 2009 and gave their first performance in February 2010. The Songsters sing at Choir concerts and represent the Choir year-round, including times when the Choir isn’t rehearsing. The non-Choir events include community events, the summer Clintonville Community Band concert, and venues (such as nursing homes) better suited for small groups. For more information, or to schedule a performance by the Songsters, contact Denise Bauman at (614) 314-1376, or send her a message. 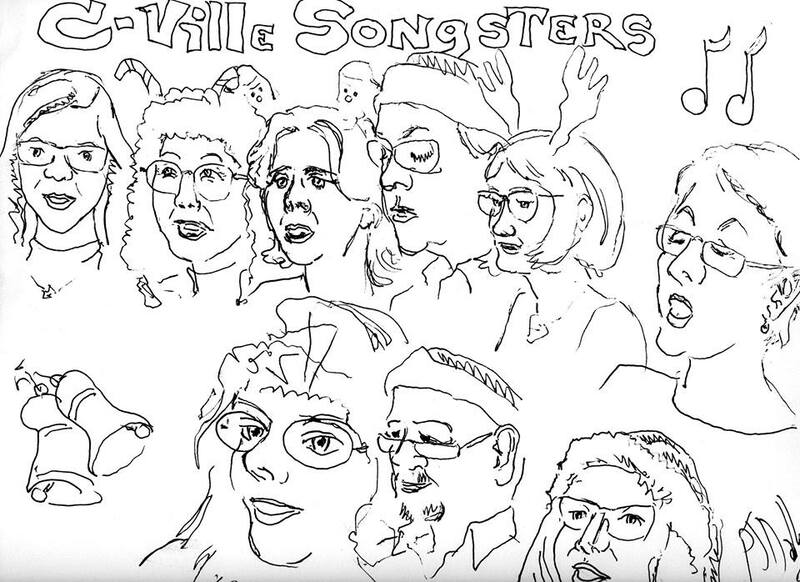 This is a small sample of songs performed by the Songsters.